"Little Steven a.k.a Steven Van Zandt, the longtime guitarist of Bruce Springsteen & The E Street Band is back with SOULFIRE, his first solo album in 17 years. SOULFIRE is Stevie Van Zandt’s first solo album in close to two decades and without question his purest and most uniquely personal artistic statement thus far. 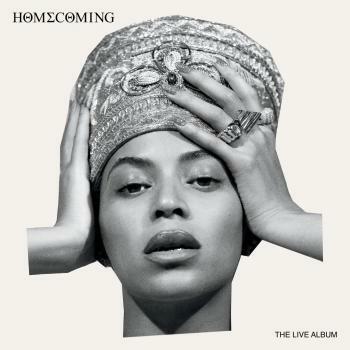 It is comprised of 12 songs including the title track, “Saint Valentine's Day” and “Love On The Wrong Side Of Town” written by Steven and Bruce Springsteen. The album sees the Rock & Roll Hall of Famer revisiting songs that span the length of his career as artist, performer, producer, arranger, and songwriter, focusing directly on the hugely influential “soul horns-meet-rock ‘n’ roll guitars” approach he first pioneered on Southside Johnny and the Asbury Jukes’ classic first three albums." is a musician, songwriter, arranger, record producer, actor, human rights activist, and radio DJ. He is a founding member of Bruce Springsteen’s E Street Band and a well known musician in his own right. 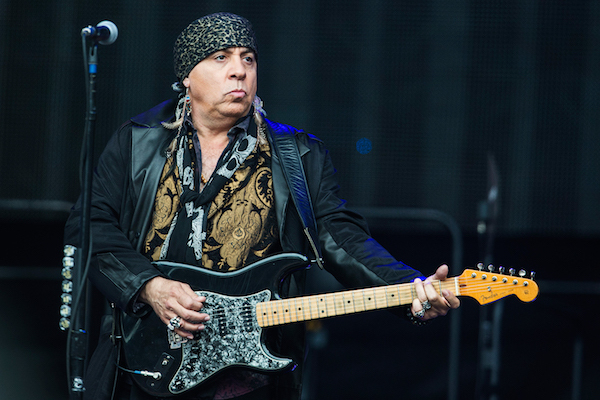 Along with recording and performing with his band Little Steven and the Disciples of Soul, Van Zandt is also a critically acclaimed producer for artists such as Bruce Springsteen, Southside Johnny and the Asbury Jukes, Artists United Against Apartheid, Darlene Love, Gary U.S. Bonds, Ronnie Spector, The Chesterfield Kings, The Cocktail Slippers, and The Breakers. His other music production credits include Musical Director and Band Organizer for the Monday Night Football theme on ESPN featuring Hank Williams Jr. and the All-Star Band, 2007. He also acted as Film Music Supervisor and Soundtrack Executive Producer for Christmas with the Kranks, released by Sony Pictures, 2003. Van Zandt’s songs have been recorded by artists such as Jackson Browne, Pearl Jam, Jimmy Cliff, Southside Johnny, Gary U.S. Bonds, Nancy Sinatra, Brian Setzer, Darlene Love, and Black Uhuru. Adding acting to his repertoire, Van Zandt became an original cast member on HBO's hit television series The Sopranos in 1999, playing the role of Silvio Dante from the show’s inception through the final season. His television production credits include Executive Producer of ESPN’s New Year’s Eve with Little Steven’s Underground Garage (2005), and Executive Producer of the Cheap Trick or Treat Halloween Ball (2006). 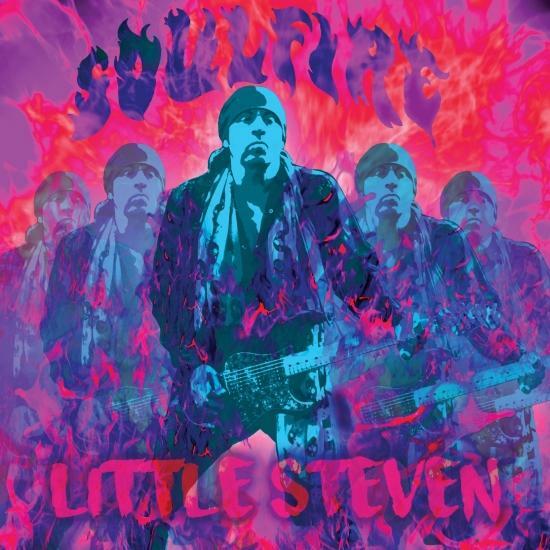 In 2002 Van Zandt created the nationally syndicated radio show Little Steven's Underground Garage, which now reaches over 1.2 million listeners in North America, with affiliates across Western Europe (still working on France! ), and broadcasting to over 50 countries around the world via Voice of America and American Forces Network. Van Zandt also created and programs two formats on Sirius/XM Satellite Radio, the Underground Garage (Sirius 25, XM 59) and the Outlaw Country channel (Sirius 63, XM 12). 2006 marked the beginning of Wicked Cool Records, the imprint Van Zandt started to further support traditional Rock and Roll, now called Garage Rock. Wicked Cool is home to twenty bands including The Chesterfield Kings, The Woggles, The Breakers, The Urges, The Len Price 3, and the Cocktail Slippers. Among the label’s releases are the critically acclaimed compilations featuring the best music from the contemporary Garage Rock scene, and the infamous Christmas A Go Go collection.